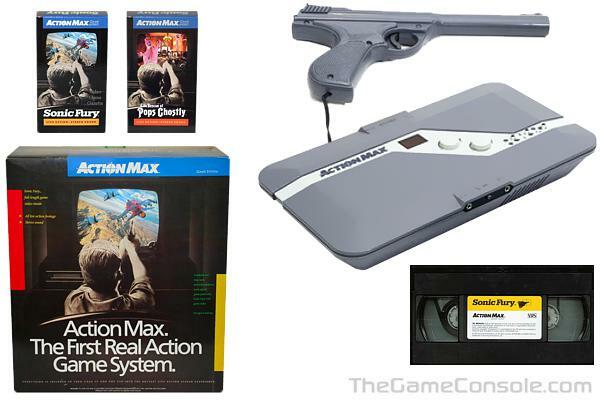 The Halcyon was a home video game console released in January of 1985 by RDI Video Systems. 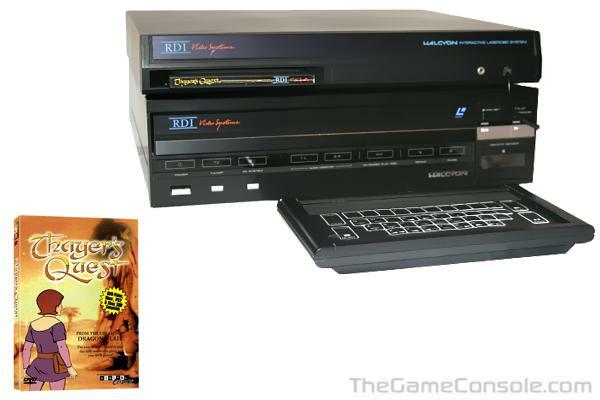 The initial retail price for the system was $2500, and it featured a laserdisc player and attached computer, each the size of an early-model VCR. Only two games were released for the system before RDI went bankrupt: Thayer's Quest and Raiders vs. Chargers, although trailers for several others were created. RDI Video Systems claimed that the system would be entirely voice-activated, and would have an artificial intelligence on par with HAL 9000 from 2001: A Space Odyssey. 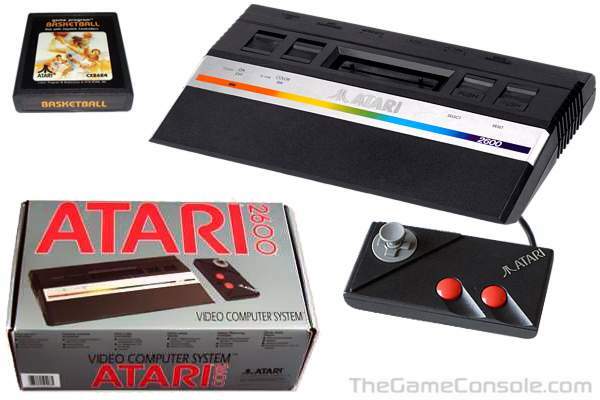 In 1986 the Atari 2600 was re-released as the 2600 Junior. 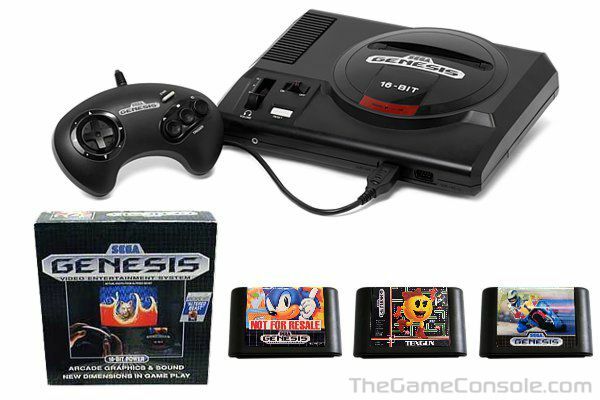 They retailed for $49.99 and came with a controller, RF switch and power cord but were absent of a pack in cartridge. They were made to match the 5200 and 7800 of the same time and some of the Juniors actually sported a JR stamp on them. The switches are the same as the CX 2600 A except that they are now sliding buttons rather than switches. The switches on the top of the unit were On/Off, Black and White/Color, Game Select, and Rest. Game Difficulty could be switched on the back. The system was much smaller and could conserve space much better than it's predecessor. The RF lead was not attached to this system. 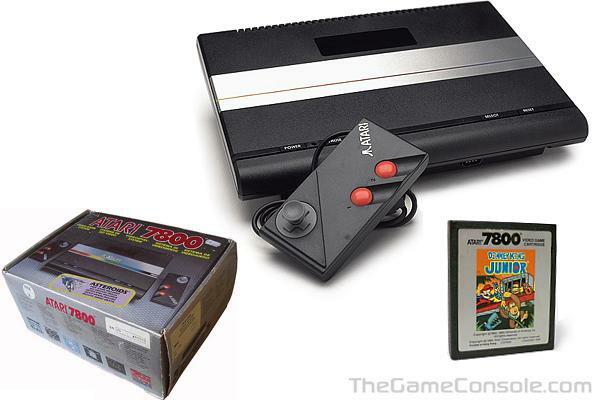 Competition in the video game industry was at an all time high, the Atari 2600 Junior would be a simple low cost Atari 2600 packaged into a small "lunch-box" carton with appeal to younger gamers. 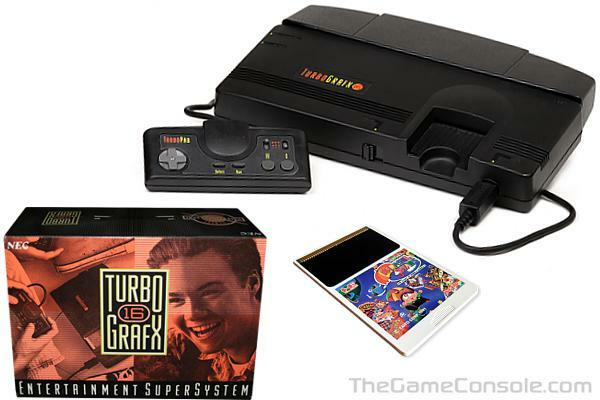 It was the 1980's, and the Atari 7800 release fails to attract attention in a market dominated by the Nintendo N.E.S. 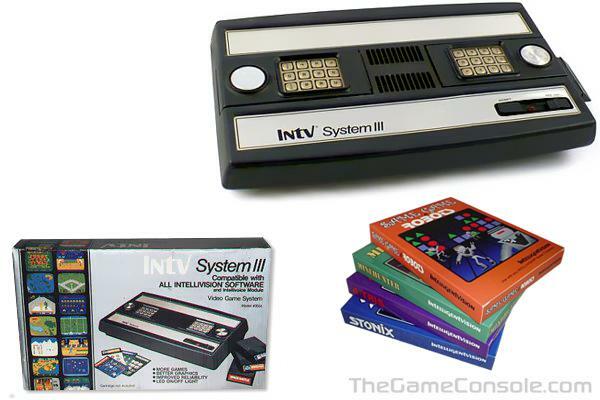 So the folks at Atari came to a decision to market another system. Oddly enough it was a step back in time. Atari introduced the XE Game System in 1987. 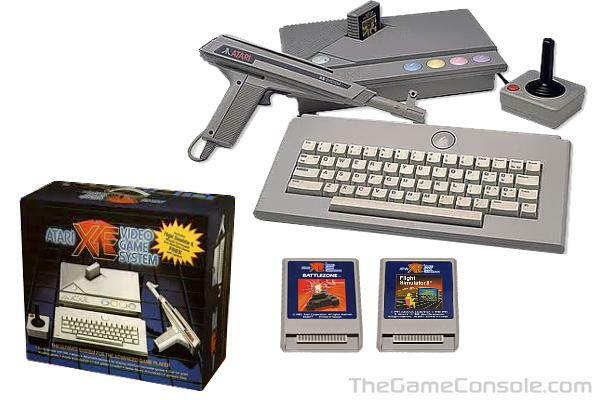 The XEGS was merely a console remake of their 8-bit Atari 65XE computer. 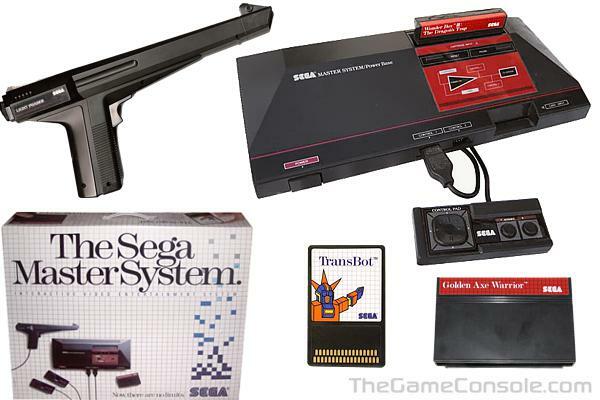 For $199 you got the console, a standard joystick, a light gun, and a pack in game called Bug Hunt (light gun game). The marketing strategy was to take advantage of the back stock of Atari computer cartridges (10 years worth). Some Atari 5200 games were also remade since the architecture was quite similar. Even though it looks like a console, the XEGS is a true 8-bit Atari computer system. 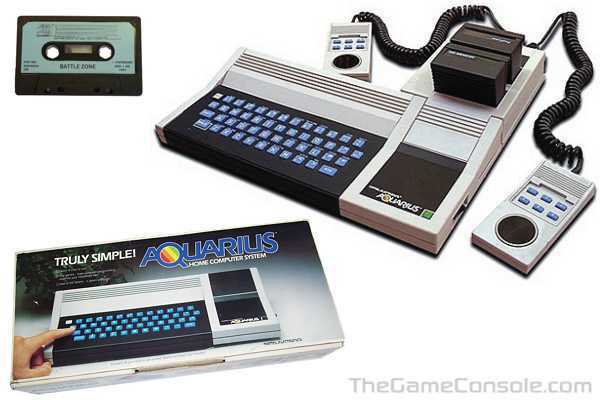 It offered the convenience of a detachable keyboard, compatibility with any standard Atari 8-bit computer peripherals, while offering 64K RAM. 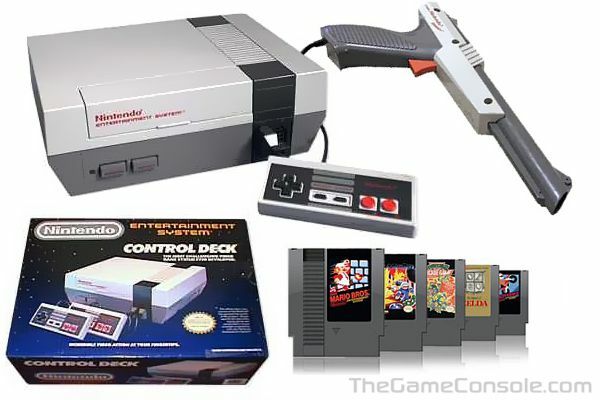 When no cartridge was inserted it would also start up with a built-in version of Missile Command. Of course the XEGS could not compete with the likes of newer systems and Atari pulled it from production after a short time.